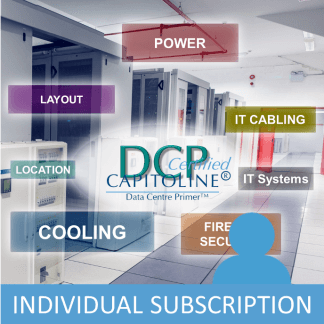 This course is an ideal follow on course from Capitoline’s Data Centre Design Course (DCD) or Data Centre Primer (DCP) course. If you are responsible for managing a data centre and want to assess your own data centre or if you wish to audit data centres on behalf of your customers then this course is right for you. Data centre design and auditing is what our instructors do when they are not training. If you have a question they will have the answer. Many Data Centre Managers only experience a few facilities in their career. Our instructors see new facilities every month. If you have a question they will have the answer. The course is packed with information to help you to become a data centre auditor. If you are planning to assess data centres on behalf of your customers then we also offer services (fee applies) to support you and help you develop your business. This can include shadowing you on your first audits, reviewing your reports and recommendations and certifying against International standards. If anything is not clear then our instructors are available to answer your questions. They are data centre consultants with many years experience in design and auditing so you can learn from their practical experience. The course is kept continuously up to date and explains in detail the relevance of US, UK, European and International standards and how to apply them. Our instructors are actively involved in the committees developing European and American data centre standards. You can take this course online or by attending a classroom course. Our training is recognised internationally find out more here. Access to the online data centre facilties auditor course is provided by subscription. All course subscribers have access to online animated, narrated lessons supported by detailed notes. Find out more about the features of online courses here. Renewing your annual subscription gives you continued access to the course material to use as a reference. 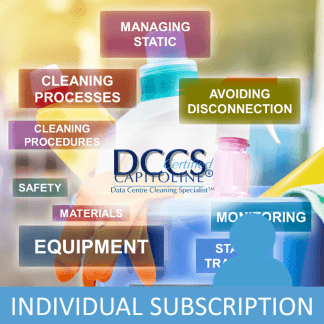 If you have an active subscription you will automatically get access to the latest updated versions of the course. When you book on the classroom data centre design course you will also be given access to the online data centre design course course Subscription for one year. Access will be granted on receipt by Capitoline of your payment (Note: If booking through a 3rd party this may be later than your payment to them). Attendees of the classroom course will also receive a searchable personal electronic copy of the course material. If you book a dedicated OnSite course for your data centre team then there is also an optional to extend the course to a total of 4 days. During the additional 2 days the class carries out an audit of your own data centre, led by the instructor. This is followed by analysis of the results of the audit. 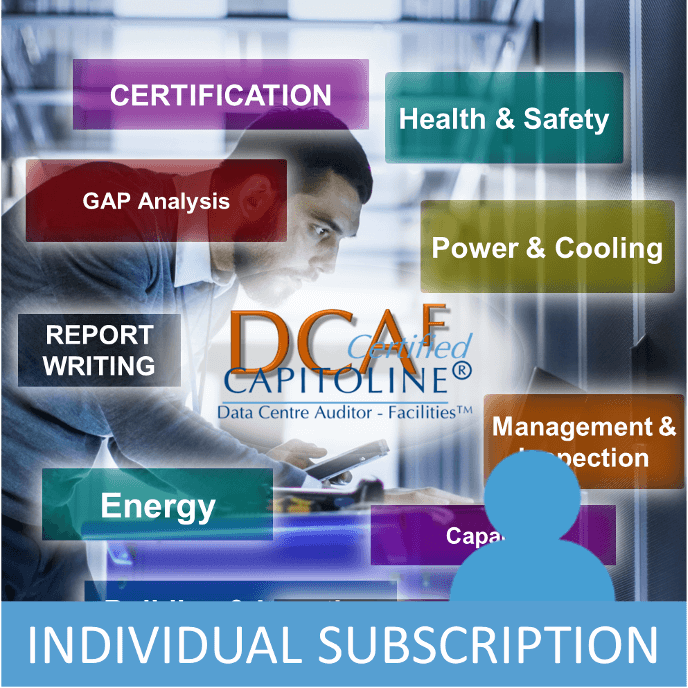 If you complete this DCAF data centre facilities auditor course and pass the exam you will be awarded a certificate and the right to use the DCAF logo and the DCAF designation after your name whilst your certificate is valid. The certificate will expire three years from the date of issue of the certificate. In order to renew certification, it will normally necessary to pay for and take a renewal examination and to be subscribed to the appropriate course. Near the end of your certificate expiry we will send a reminder to your registered email address to explain the process. Key Energy Metrics: PUE etc.